This article contains the most up-to-date information from the Oregon Department of Forestry regarding the Garner Complex burning in Jackson and Josephine counties—now including the Taylor Creek Fire west of Merlin. This article will continue to be updated with the latest information from the Oregon Department of Forestry (ODF) regarding the Wagner Creek and Garner complexes. For information on wildfires managed by the U.S. Forest Service, click here. MEDFORD, Ore. — Over 1,000 lightning strikes from thunderstorms that rolled through the Rogue Valley on Sunday, July 15 started about 115 fire starts, according to Deputy Chief Lang Johnson of Grants Pass Fire. Although over 100 of the lightning-caused fire starts were quashed within the first 48 hours, several of those fires are still actively burning and growing as crews hurry to contain them. ODF has grouped those fires into two "complexes." Initially the Wagner Creek Complex largely described fires in Jackson County, and the Garner Complex fires in Josephine County. The Wagner Complex has since been largely contained and mopped-up, allowing fire and forestry crews to focus on the troublesome fires of the Garner Complex, which have spread into Jackson County and prompted evacuations in multiple areas. For complete and updated evacuation warnings due to Garner Complex Fires, visit our article here. 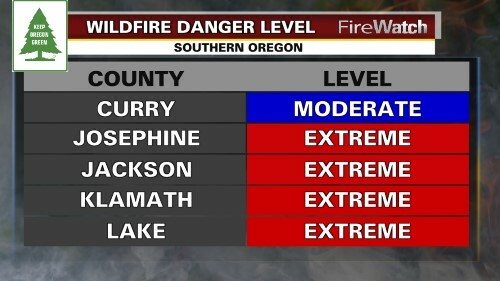 JACKSON AND JOSEPHINE COUNTIES, Ore. -- The Garner Complex is now 31,660 acres, and 30 percent contained. It grew by 2,748 acres overnight. Smoke from the Klondike Fire cast shade over the Taylor Creek Fire on Saturday, providing some relief from high temperatures and lowered the active fire behavior. The Klondike Fire is burning in the Kalmiopsis Wilderness about 9 miles southwest of the Taylor Creek Fire. Firefighters were able to hold and strengthen all Taylor Creek Fire lines, for the first time in several days. 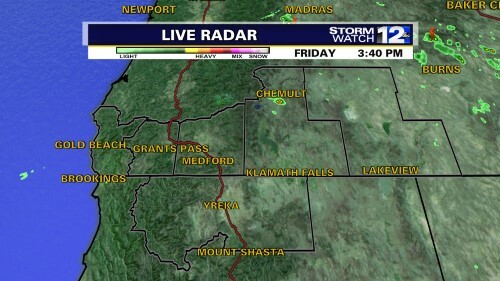 The weather trend will continue today, which means hot and dry conditions could stimulate the fire. However, smoke from the Klondike might provide some relief again today. Conditions remain difficult for firefighters because of steep topography coupled with the weather conditions. On the Grave Creek Fire, on the east side of the complex, structure protection and mopup work continues. The Josephine County Sheriff’s Office continues to adjust evacuation orders. Mandatory evacuations ( Level 3—GO!) have expanded. More than 1,000 people are now subject to the evacuation orders. Information on evacuations is available from the Southern Oregon Joint Information Center (541-474-5305). Management of the Garner Complex will be changing on Monday. The Oregon Department of Forestry IMT 2 is transitioning management of the fire to two incoming teams. work 14-day assignments. Transition after a 14-day assignment is normal. Incoming teams are fully briefed and prepared before the transition is made final. The Garner Complex now covers 21,443 acres and is 19 percent contained, according to the latest from ODF. A “red flag” weather warning means conditions will be prime for rapid fire growth today. Firefighters were cautioned at this morning’s briefing that with gusty winds in the forecast, high temperatures and low humidity, conditions call for a high level of vigilance. 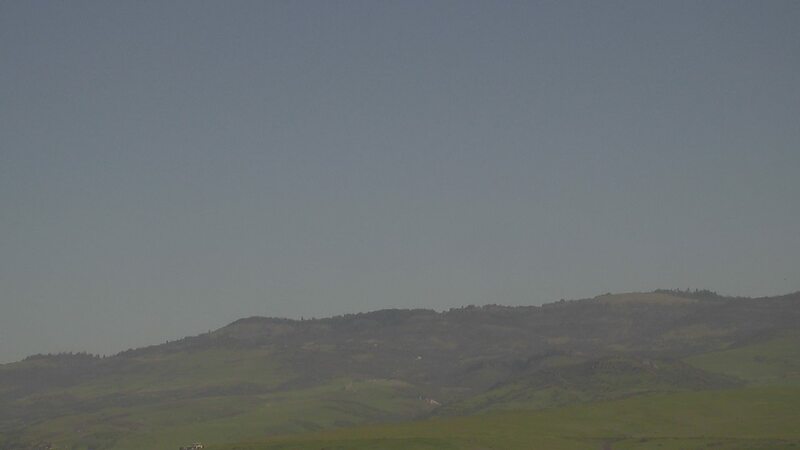 In addition, much of the smoke that has been trapped over the fires has cleared out. “The fire will be getting a breath of fresh air today” said Incident Meteorologist Tom Wright, which could produce large columns of smoke. The clear air will help the visibility of helicopters and airplanes used on the fire, and they will be operated as needed to help maintain our control lines. They will be used, as needed, to help maintain our control lines. And, if conditions are right, aerial ignitions are planned to remove unburned fuels between the active fire and the over 70 miles of firelines. Today, firefighters will patrol, strengthen and “mop up” the lines on the Grave Creek portion the Garner Complex. Last night, a spot fire did threaten the line in the Shan Creek area on the Taylor Fire but firefighters worked to contain it all night and into this morning. A top priority today will be to make sure that portion of the line stays secure. Oregon Governor Kate Brown, along with other state and local elected officials, are planning a visit to the Garner Complex this morning. Also today, the United States Forest Service became part of the unified command, joining the Oregon Department of Forestry and the Oregon Office of State Fire Marshal. Much of the Taylor Creek Fire is burning on and threatening forest service lands. Finally, firefighters will be taking a “tactical pause” today to review the things needed to keep them safe, such as communications, escape routes and safety zones, and medical emergency procedures.